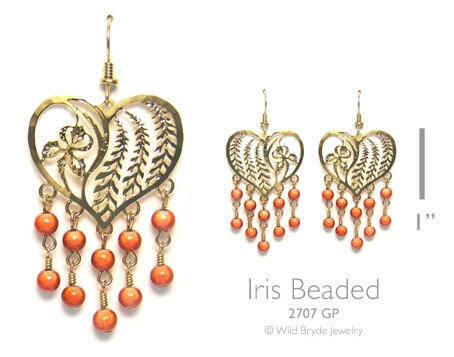 Beautiful Heart Shaped Iris with cascading orange beads. Featured here in gold plate with 14K gold fill earrings. Also available in rhodium plate with sterling silver earwires.